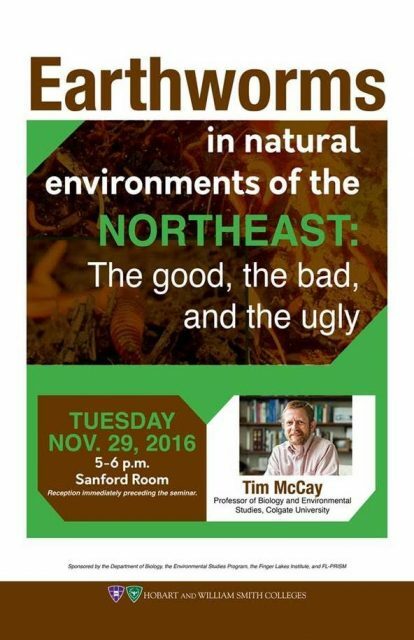 The Department of Biology, the Environmental Studies Program, the Finger Lakes Institute, and FL-PRISM invite you to join them for a co-hosted seminar on Tues. 11/29 (5-6 pm at Hobart Williams University, in the Sanford Room). Dr. Tim McCay of Colgate University will speak about his research on earthworms in the Northeastern U.S.
All are welcome. Refreshments precede the seminar.